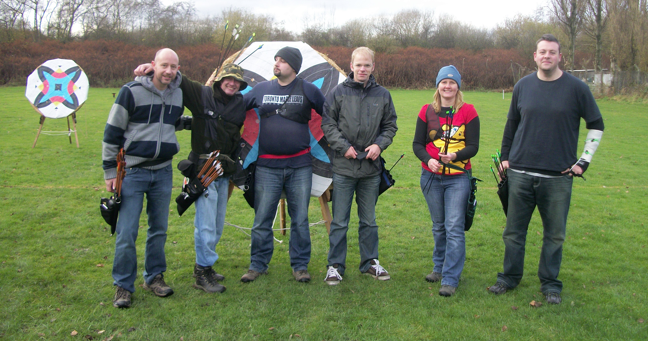 In November Eccles Archery Club held a Children In Need charity shoot. 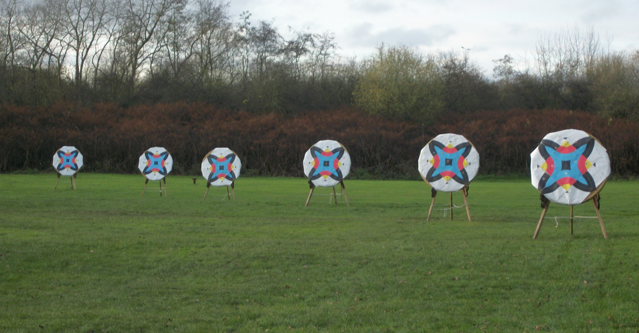 The day was attended by 40 EAC club members (but we did not take a group photo, unfortunately), and most shot. 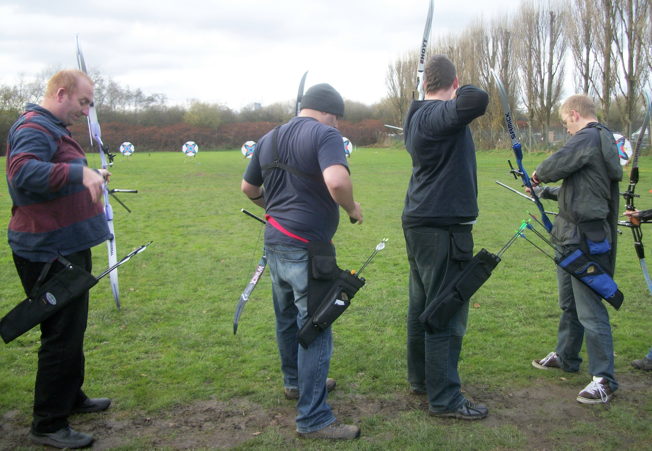 We raised £420! 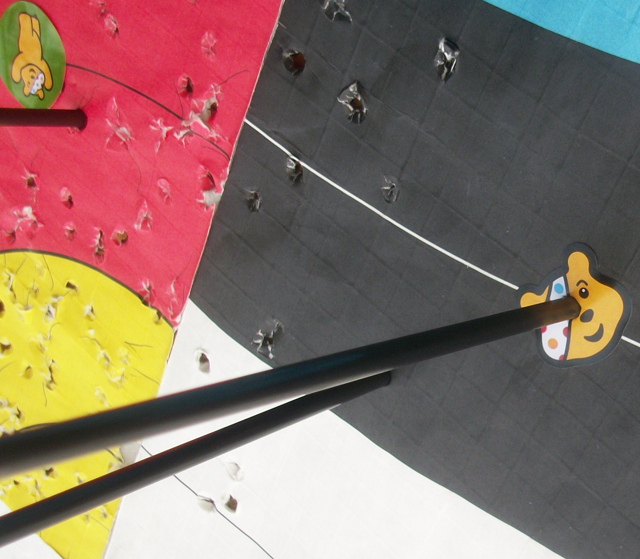 Register with the Children In Need website, and they will send all the details and ideas. Get your event mentioned on Radio 2. Loads of people told us they heard about our shoot. 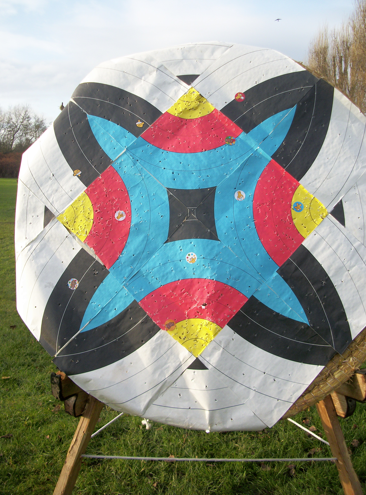 Design a silly archery competition with an entry fee. Do you like the faces we used?. Supply paid for hot food after the shoot. Fines. 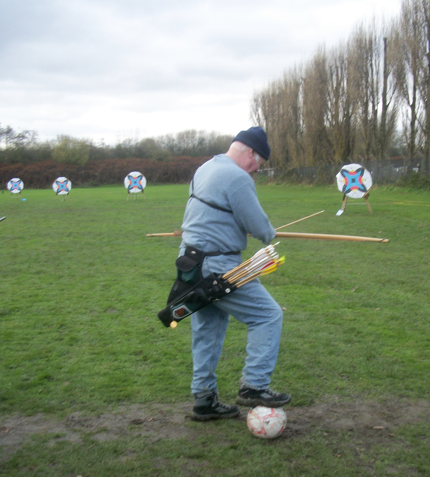 Our club secretary was able to find ways of fining most archers. Someone didn't make 1st Class in 2010? Fine: One pound. Hit the leg too many times in 2010? That's damage to club property: Fine One pound. etc.